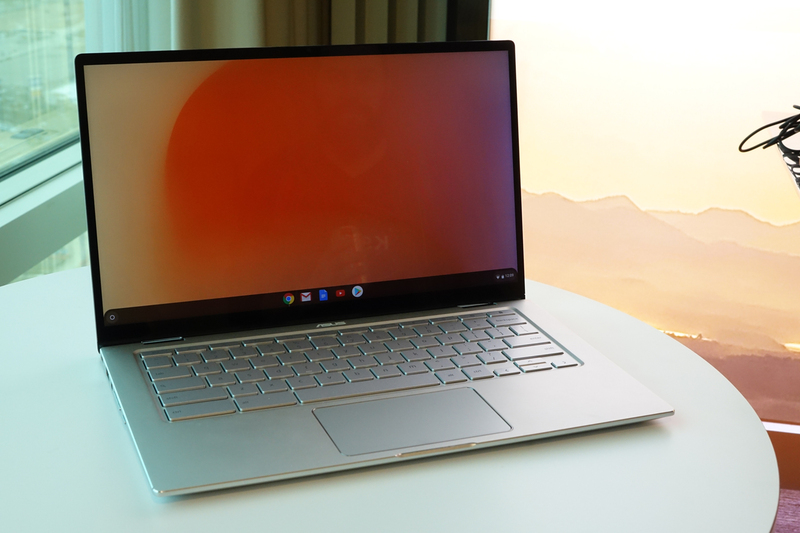 The Chromebook Flip C434 has a 14-inch 1080p display, an Intel Core m3-8100Y processor (2 cores, 4 threads) clocked at 1.1GHz, 4GB of RAM, and 64GB of internal storage. For connectivity, you get two USB 3.0 Type-C ports, one USB 3.0 Type-A port, a microSD card reader, and a headphone/microphone combo jack. Compared to the C302, this new model has a larger screen (though at the same resolution) and a new hardware design with smaller screen bezels. There weren't any USB Type-A ports on the C302, so fewer dongles are required this time around. 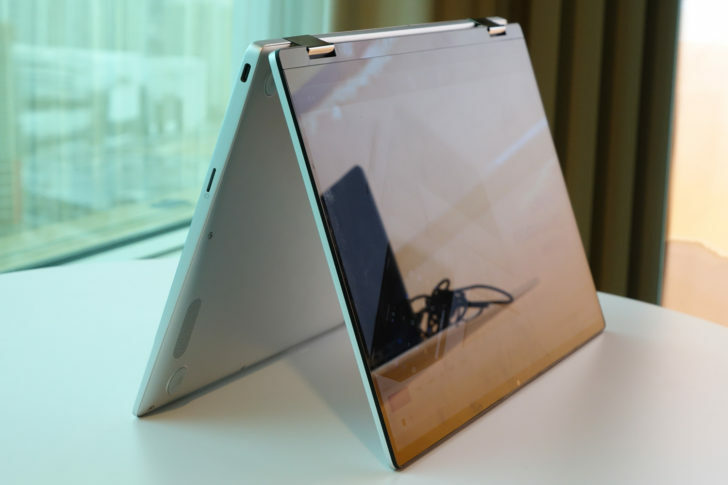 We went hands-on with a pre-production unit at CES, and you can see our impressions here. Asus is charging $569.99 for the C434, which is around $100 more than the C302's current price. I'd expect 8GB of RAM at this price point, but the rest of the package seems solid. We'll hopefully get our hands on a review unit soon, so stay tuned. 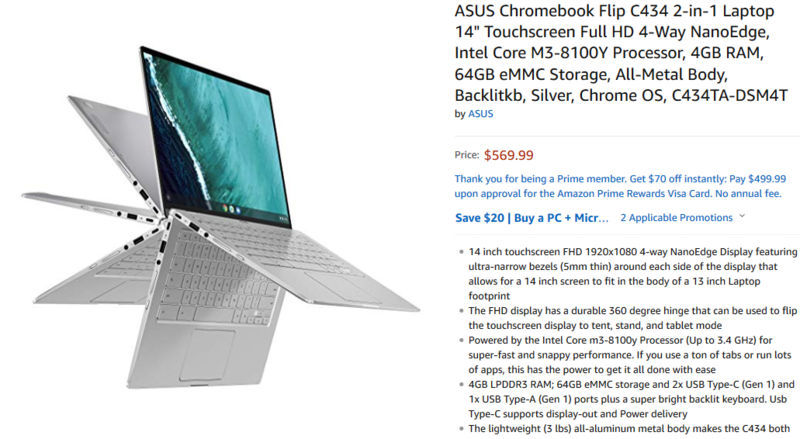 The Chromebook FLip C434 has now appeared on Amazon, for the same price of $569.99. The listing says it will be released on April 5, but you can pre-order starting today. Two and four-year protection plans from Asurion are also available, for $53.99 and $113.99, respectively.